An outing to Hartpury with a lorry of novice horses kept us busy Sunday morning. Blizzard was thrown in the deep end having her first every trip out anywhere. I usually hire somewhere first for schooling so they are ready for their first show, but the lorry was off sick all week. She behaved beautifully it was as if she had been going to indoor shows all her life, she has never even been in an indoor before. She spooked at nothing was very calm,bold and interested . She jumped a lovely clear round, she is very careful for such a baby horse, she also had lots of admirers with her unusual colouring, apart from Ant who spent most of the morning teasing me saying things like “Hey Stella you have forgotten to take her rug off” and “why have you given me this blanket to hold” You can see her jumping round here. 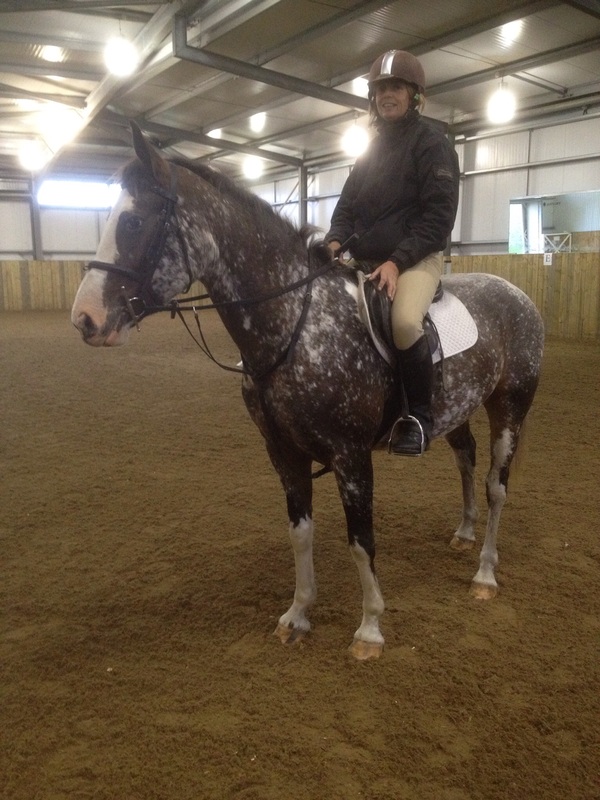 Nikki took Rif Raf and jumped a lovely double clear winning their first competition rosette, lots of smiles! I also took Sprout who has been a very forward thinking and a little buzzy jumping indoors, he is learning to settle and jumped a super quiet, rhythmic double clear in the mini class, his round can be seen here. Below waiting to jump the blanket!! !